We’re popping up all over the place! 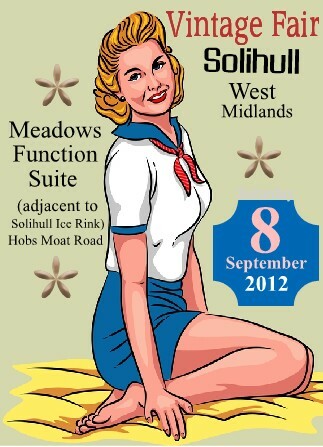 Solihull Vintage Fair 8th September 2012 10am – 4pm Meadows Function Suite, Hobs Moat Road, Solihull, West Midlands. I will be running my vintage pop-up beauty salon at this local event from 1pm – 4pm, so why not book in for a bit a of a pamper. All you’ll then need is your party dress and your dancing shoes and you’ll be the belle of the ball when you hit the town. With less than a month to go until The Knowle Wedding Festival we are keeping our fingers permanently crossed that the weather stays dry! Although SGR Vintage Hair & Makeup will be safely indoors there will be lots of roaming performers out and about to entertain the crowds as well as lots of outside exhibitors. Parking and admission are FREE and there will also be a FREE goody bag for those brides that pre-register. “At Temple Balsall, Knowle which is an idyllic countryside setting with a pretty and historic church, popular for weddings! * Live entertainment, displays and practical demonstrations. *Large number of unique, exciting and reputable wedding suppliers and service providers for you to talk to and liaise with to help create the wedding day you dream of. *Selections of beautiful wedding music will be playing in church on the recently restored historic organ. *The church will be decorated with a selection of stunning wedding flower displays from local florists. 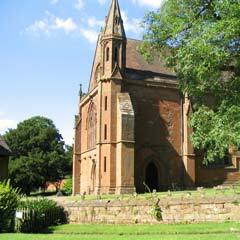 *Tours of the church and opportunity to meet with the vicar for advice on ceremonies. And to top it all off SGR Vintage Hair & Makeup will be there running demonstrations throughout the day and also running special promotional prices on treatments too. So way not come and visit the stand to get pampered. Prices start from just £5. I will also be giving out 10% off all bridal services vouchers to those that come and visit the stand. Walk-ups will be available but to pre-book a time slot you can email me at sgr.makeup@me.com , tweet @SGRussell , or use the contact me form. I don’t own all of these photos as I have found most of them in books and on other places on the web. If you are the owner of any of these photographs and would like me to remove them please contact me via my contact page.